Ready for more tips on dog training, health and behavior? Looking for resources on how to be involved in the St. Louis community? Is your family ready to adopt your next new best friend? Here are online links our favorite local, national and online dog resources. Kingsbury Animal Hospital provides sensitive, quality medical care for companion animals in accordance with each client’s emotional and financial needs. The practice is a friendly workplace encouraging personal and professional growth with understanding and respect for the individual differences of coworkers, clients and the animals placed in their care. House call veterinary practice treating cats and dogs; offers preventative care (vaccines, heartworm, etc) as well as modern-day diagnostics (ears/skin infections, blood and urine testing, internal medicine work-ups, pain management, etc). Vet visits at home mean high-quality, convenient, and personalized patient care with minimal stress… for pets and their owners! What makes Mutton Chops different from the rest? Their sitters are in it for the long haul! Each sitter’s career with Mutton Chops stems from a real love of pets and the desire to give their clients peace of mind while they are away from home. Mutton Chops Pet Services is a Licensed, Insured, and Bonded company. Founded in 1935, their Pet Boarding, Grooming, and Daycare Facility serves pets throughout St. Louis, Des Peres, and surrounding areas. They are conveniently located in St. Louis West County with two beautiful acres that provide a park-like atmosphere. The staff members at Silver Maple are truly passionate about caring for pets and making them feel as happy and comfortable as possible. Petsway is a family owned pet store that is your choice for pet supplies, grooming, small pets, and expert pet product advice in Missouri. The Persuaded Pooch is proud to partner in collaboration with the Petsway location in St. Louis. OpSPOT facilitates affordable spaying and neutering by area veterinarians, and educates/advises on public policies about spaying, neutering, and responsible dog and cat care. A non-profit volunteer group dedicated to animal welfare with a main focus of reducing euthanasia by promoting and providing spay/neuter surgeries for pets of low-income families. Their mission is to reduce pet overpopulation by providing an effective, accessible and affordable spay/neuter option, and to educate the public about the benefits of spay and neutering pets. Bi-State Pet Food Pantry is a St. Louis-based volunteer organization committed to keeping animals with their guardians during financially difficult times by providing emergency assistance with pet food. Advocates 4 Animals (A4A) Pet Food Pantry’s mission is to ensure that family pets stay in their homes during financially difficult times, by providing temporary pet food assistance as well as spay/neuter assistance to those in the greater Jefferson County area. A not-for-profit association representing more than 80,000 veterinarians working in private and corporate practice, government, industry, academia, and uniformed services. The best way to ensure the safety of your family is to be prepared with a disaster plan. This link helps you to formulate a plan that includes your pets. Being prepared can help save lives. Nutrition, training and grooming advice for a healthy dog. Whole Dog Journal reviews dog food, dog toys, and dog health and care products as teaching positive training methods. Video on how to desensitize and counter-condition your pet so you can perform a single person nail trim with a rotary tool. A great overview of all the activities that people can do with their dogs, from agility to obedience to bikejoring! Linda Case is a science writer who specializes in topics about canine health, nutrition, behavior and training . Her academic training is in animal sciences, specifically in canine/feline nutrition and companion animal behavior and training. If you had a friend who was a veterinarian, you’d ask her about your pet, right? She’d tell you the truth, honestly, in a way you could understand. Welcome to VetChick.com… Veterinary advice you can actually understand and trust, offered by local Metro East and St. Louis in-home veterinarian, Dr. Karen Louis. Have a heavy puller on leash? In the best interest of your pup’s behavioral and physical wellness, please don’t go the pinch collar route to manage pulling. A properly fitted front clip harness can be equally, if not more, effective. Check out the Whole Dog Journal’s review of the best [no-pull] harnesses of 2018. The Frontrange Harness and the 2 Hounds Freedom Harness are two of our personal faves! Information on Karen Pryor’s method of operant conditioning using clickers to manage animal behavior. A group of veterinarians and research scientists dedicated to improving the lives of animals and people through an understanding of animal behavior. 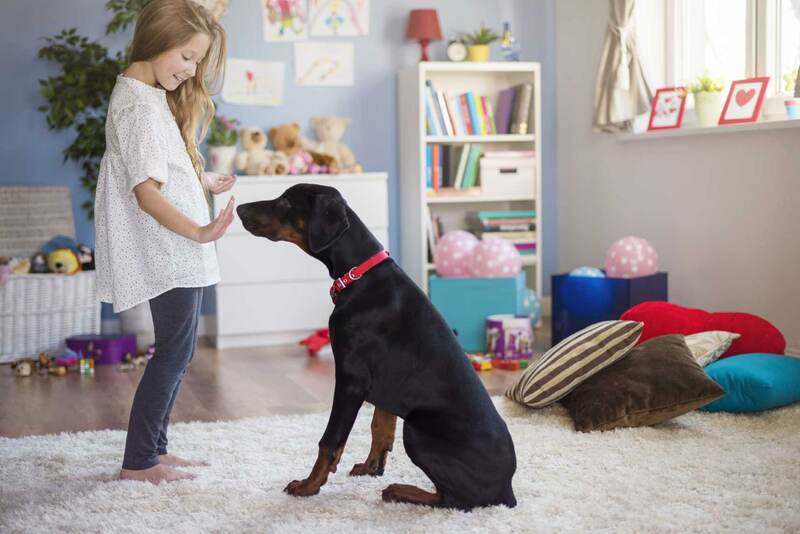 See their important position statements on Dominance, Punishment and Puppy Socialization. Dr. Susan Brown is an exotic animal veterinarian for over 35 years who saw the need to not only heal an animal’s body, but to heal their mind and emotional state as well. Check out Dr. Brown’s Links/Resources page for other great informational resources. A daily magazine with news, blogs and articles about dog behavior, with everything you need to know about raising or training your puppy or dog. Emily Larlham is an internationally renowned dog trainer and artist, who combines her skills to come up with creative, fast and reliable ways of training and modifying behaviors through clickertraining. Her work is documented and shared through her extensive how-to video collection on YouTube. The internationally-acclaimed veterinarian/animal behaviorist was known for her uncanny ability to solve problems of aggression, fear, barking, jumping, biting in dogs and cats and many other issues. Her staff continues to facilitate her work and advocacy of animals even after her sudden passing in 2014. The official website of It’s Me or the Dog’s Victoria Stilwell, and an online resource for positive reinforcement dog training. These detailed training levels were written by Sue Ailsby for those who want a coherent at-home training plan aimed at producing a “civilized” dog who is a willing partner, eager to learn and happy to work. This training facility located in Sacramento, California has compiled a top notch behavior and training library of both original content and linked articles from other resources. Happy reading! Membership organization of professional, positive dog trainers and dog-friendly businesses that facilitates safe, early and effective puppy socialization. They want all puppies to grow up into behaviorally healthy dogs that are easier to train, more adaptable and overall better lifetime companions. If you were only going to buy one book on how to raise a puppy, this is a great choice. Written by Ken and Debbie Martin of Veterinary Behavior Consultations, the book is a clear cut, easy to read and comprehensive guide on how to get your puppy off on the right paw. The site also provides a search tool for “Puppy Start Right” certified puppy class instructors. The organization’s mission is to provide effective means for the prevention of cruelty to animals throughout the United States. MAAL protects animals from abuse, neglect and exploitation by monitoring and facilitating the passage of animal welfare laws, thereby enhancing the quality of life for people and animals in Missouri. This website exists as a resource to area residents who have lost their pet or found a stray animal. The mission of STLLostPets.org is to reunite as many owners with their lost animals as possible and encourage responsible pet ownership practices like microchipping. A fantastic resource for finding a pet either through a private pet-owner, or at various shelters across the metro area, including Open Door Animal Sanctuary, the St. Charles Humane Society and many, many other animal control centers, breed rescue groups and advocate groups located in the St. Louis area. Adopt-a-Pet.com (formerly 1-800-Save-A-Pet.com) is a non-profit pet adoption charity that helps shelters, humane societies, SPCAs, pet rescue groups, and pet adoption agencies advertise their homeless pets to adopters for free. Click here to find dogs and puppies or click here for cats and kittens available in St. Louis. Since 1870, the Humane Society of Missouri has been dedicated to second chances. They provide a safe and caring haven to all animals in need – large and small – that have been abused, neglected or abandoned. Pet Rescue Network is comprised of dedicated and experienced volunteers determined to positively impact the lives of animals in need in St. Louis and surrounding rural communities. PRN strives to meet both the medical and psychological needs of animals who have suffered abuse, neglect, or abandonment through no fault of their own. Their mission is to end pet homelessness, promote responsible pet ownership, and advocate for animal welfare. Five Acres Animal Shelter is the only no-kill animal shelter in St. Charles County, Missouri. Even Chance strives to counteract misinformation about pit bulls with factual education, communication, and resources for the public, pit bull owners, and potential adopters. The Animal Protective Association of Missouri is a non-profit organization dedicated to bringing people and pets together, advancing humane education and creating programs beneficial to the human/animal bond. Stray Rescue’s sole purpose is to rescue stray animals in need of medical attention, restore them to health, and place them in loving adoptive homes.